Inspire today's youth with these true-life heroes of the faith! 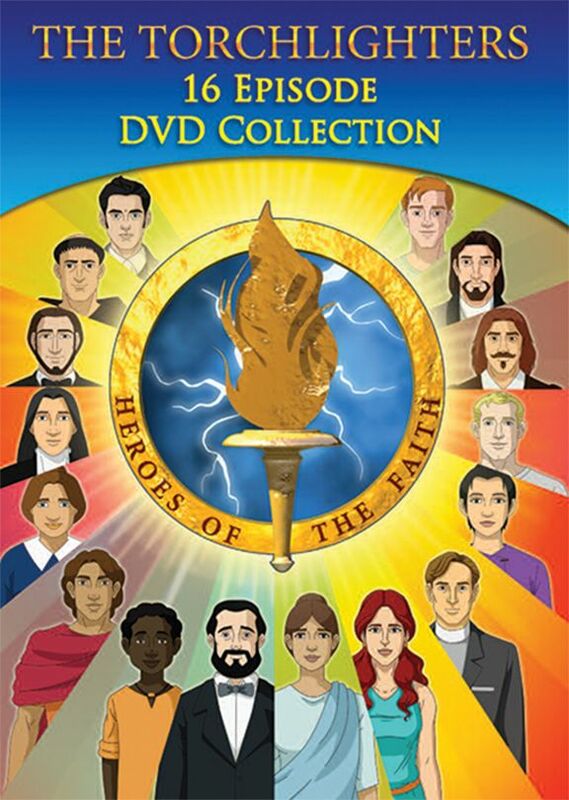 This 4 DVD collection includes all 16 episodes of the award-winning Torchlighters series. Each action-packed episode highlights a true story from Christian history, exemplifying courage and a life dedicated to Christ. Disc 1 - includes The Jim Elliot Story, The William Tyndale Story, THe John Bunyan Story and The Eric Liddell Story. NOTE: These discs only contain the animated movies. The do not include the documentaries.